Celebrate two of Kentucky's best-known industries with this unique ring! One side is made of wood from a used Kentucky bourbon barrel, and the other from fencing reclaimed from some of Kentucky's best horse racing stables. Separating the two is a thin band of dark black ebony. Fans of a good day at the track will surely appreciate the combination of these two historical woods - a ring that will serve as a conversation starter for years! 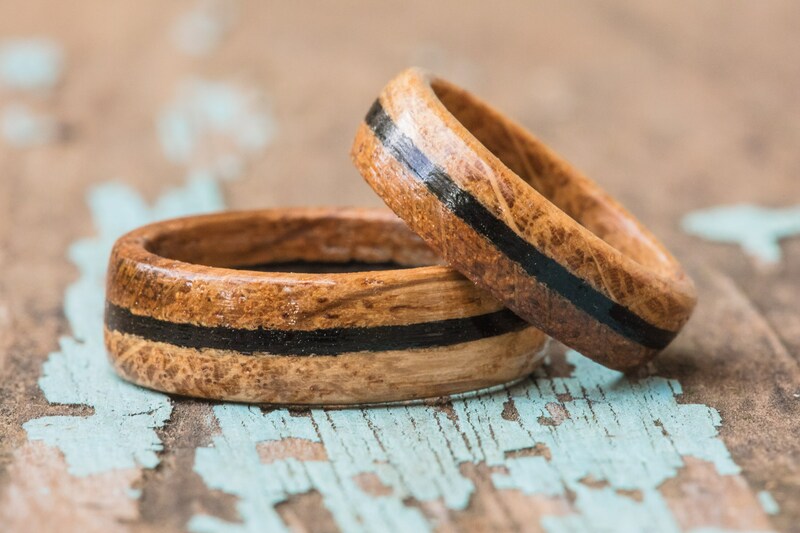 Each ring is unique, and the wood patterning and color may be somewhat different than those pictured. 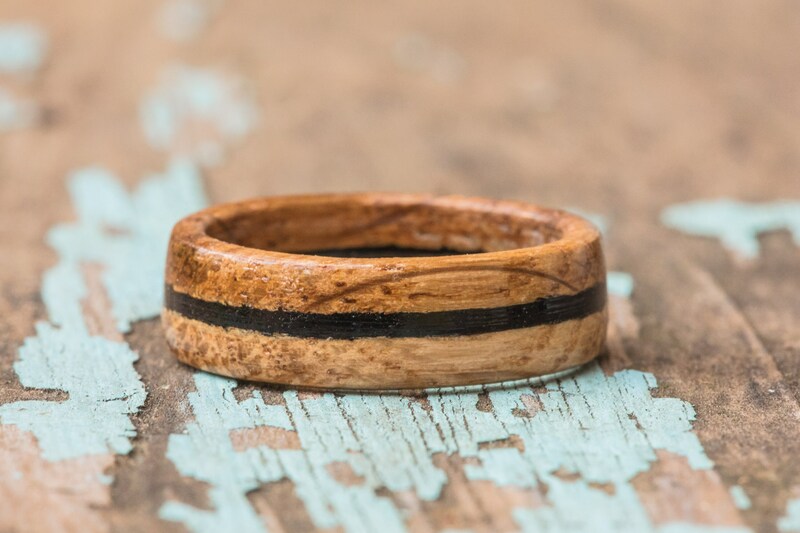 Our bourbon barrel rings use wood from Jim Beam barrels - a select number of other brands are available on request. A bourbon barrel may only be used once for bourbon, and is then resold for other purposes, from wine- or beer-making to crafts. We purchase these barrels as soon as they leave the distillery.